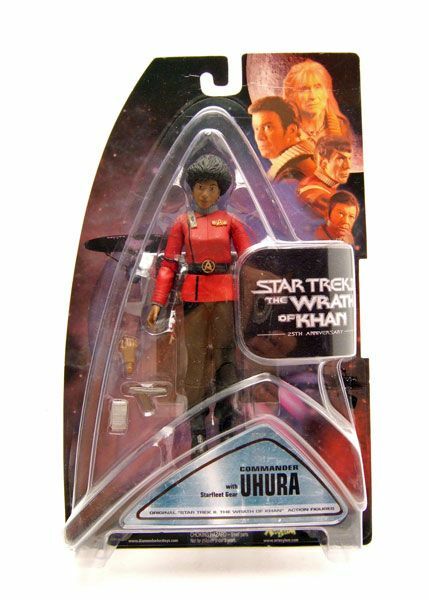 Uhura was released carded as a Previews Exclusive to coincide with the third wave of DST's "Star Trek II The Wrath Of Khan" figures. The Rundown: I really need to improve my organization skills when it comes to these spotlights- I'm having trouble remembering which figures I have covered and which ones I haven't! I had to take my ipod touch with me down to the basement last night and search my blog as I looked at my TWOK shelf to determine which ones I hadn't done yet! Turns out I'd left out Uhura... so here she is! Let's take a look! 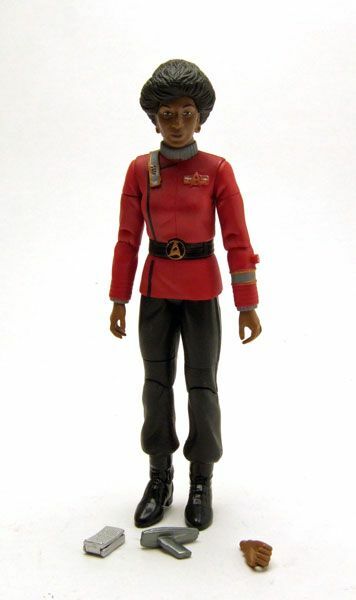 Uhura uses the same body we saw on the Lt. Saavik figure. 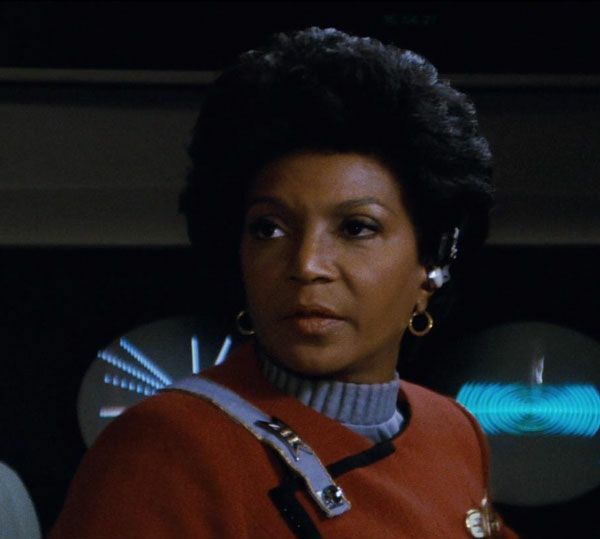 I said it back during her spotlight, and I'll say it again here- It's pretty obvious this body was sculpted more with an eye towards producing Saavik, and Uhura just happened to be a bonus. 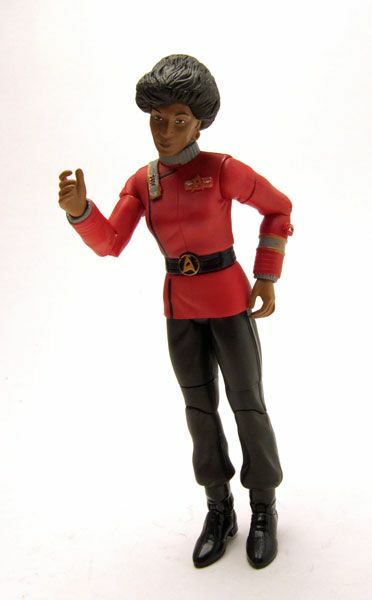 The body proportions are a bit off for Uhura. It's not so bad that it's unforgivable, but it would have been nice to at least get a unique torso sculpt here. The body itself is nicely articulated and can pull off a variety of poses. The hips are hindered a bit by the lower edge of the tunic, but thankfully it's made of a rubbery material so there is at least some movement. Just like Saavik, however, Uhura seems to have one foot that sits lower than the other, causing her to always lean or fall over. I actually have to put a bit of sticky-tack on her feet to keep her upright. Watch out when sitting her on a high shelf because she will probably take a dive over time! Do you really need me to sell you on this one? 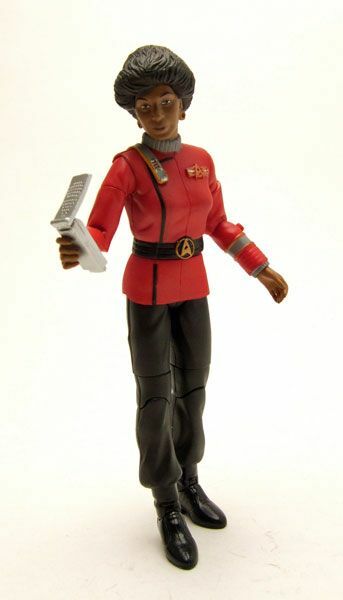 If you're building a TWOK display, you need Uhura. Duh. Every TOS crew display needs the big 7! 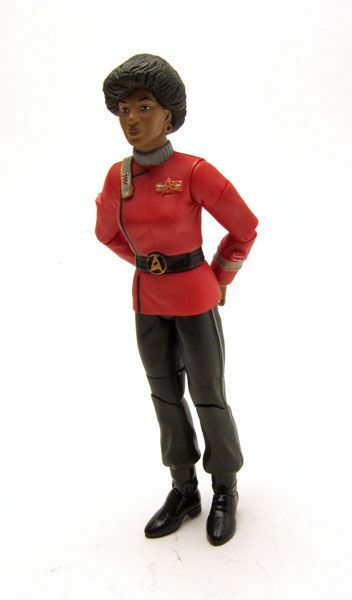 While I wish the figure was a bit better, this is the ONLY TWOK style Uhura ever made... so you're stuck with it if you go TWOK. She ain't that bad though, and can still be had on the cheap if you look around a bit. Nice post as always. I'm with you on the face sculpt, they just didn't capture her, or her beauty. 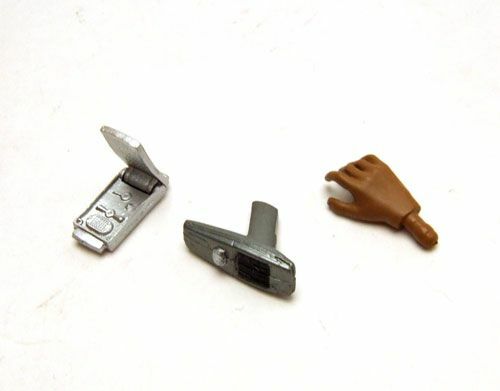 If the head as not on s Trek body, one would be hard-pressed to identify it. 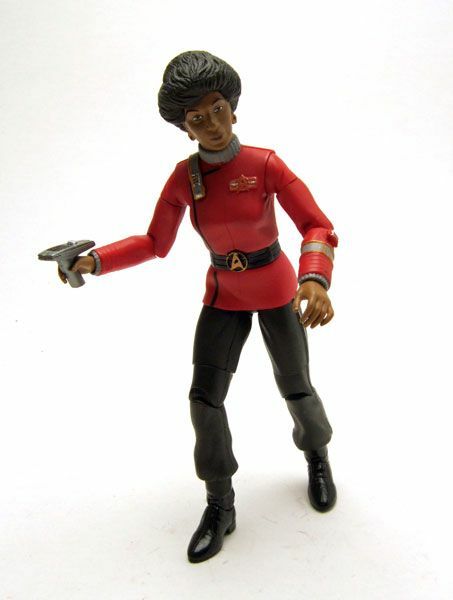 I don't believe there has ever been any action figure of Nichelle Nichols as "Uhura" that has captured her likeness. Very annoying! She looks like "Louise from the Jeffersons." That's very funny, but also very true. I think it's the nose, but also the hair. 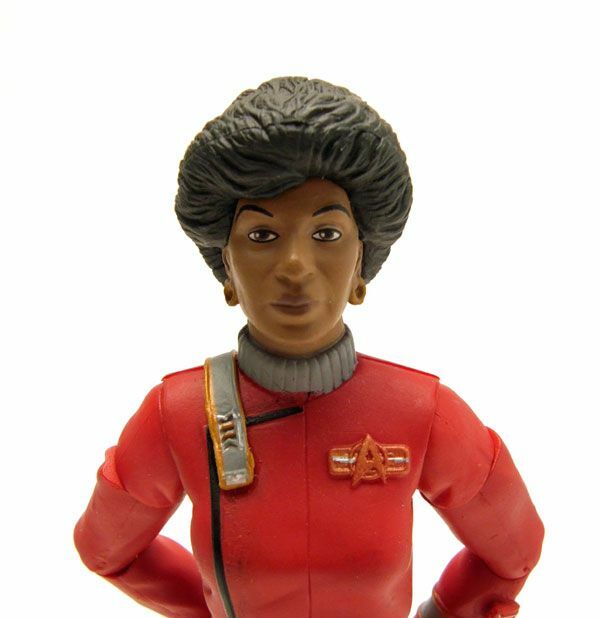 The sculpt for the hair makes her look "matronly" (like Mrs. Jefferson) which is an air Uhura never had about her.